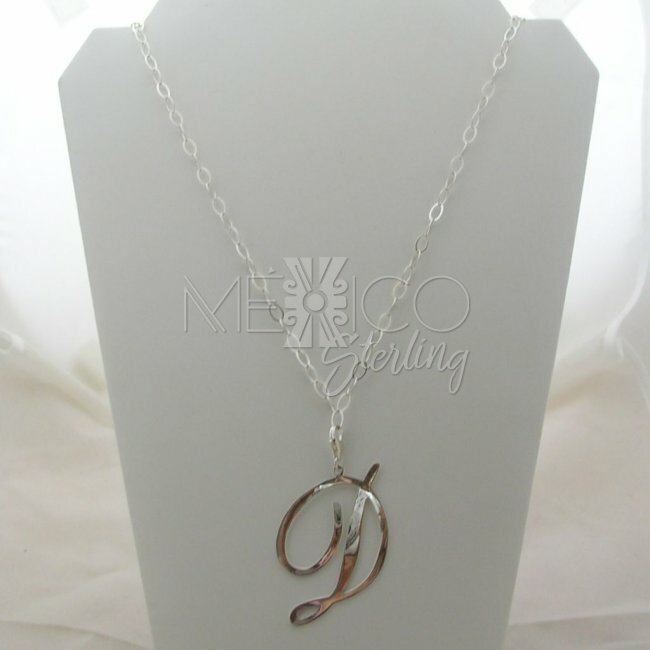 Fashionable Silver Pendant Letter D [PND2947] - $40.00 : Mexico Sterling Silver Jewelry, Proundly from Mexico to the world. Dimensions: W: 1 5/8" at its widest point. 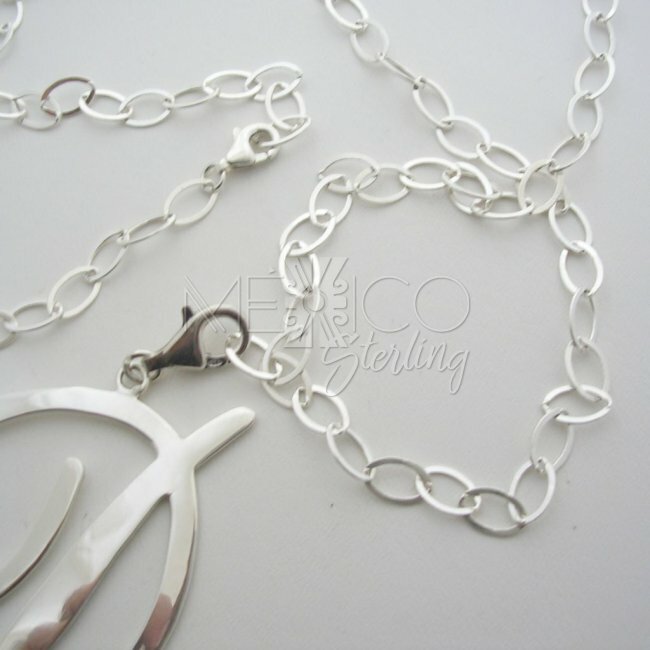 Length : 2 7/8"
One of the loveliest of all our sterling silver pendants, this one is truly unique and sports an intricate design. 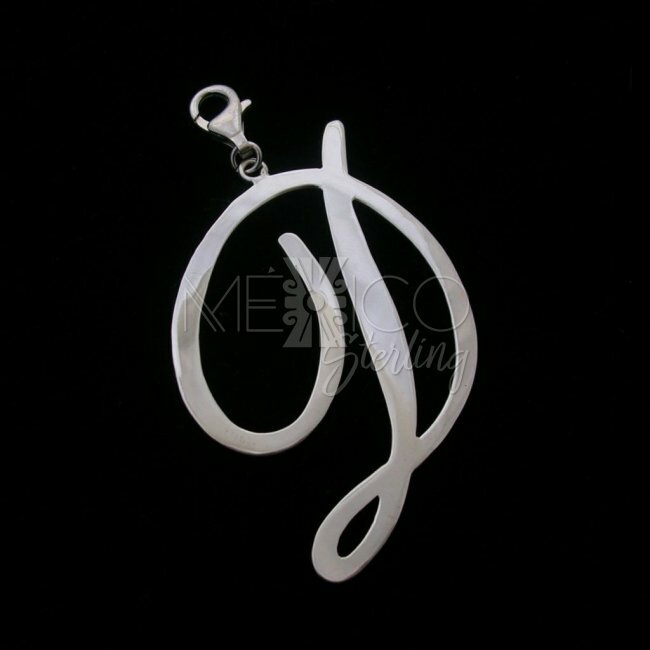 Writing an alphabetic letter in italic like this takes a lot of skill and craftsmanship on the designer's part, which is evident from the beautiful finish of this pendant. 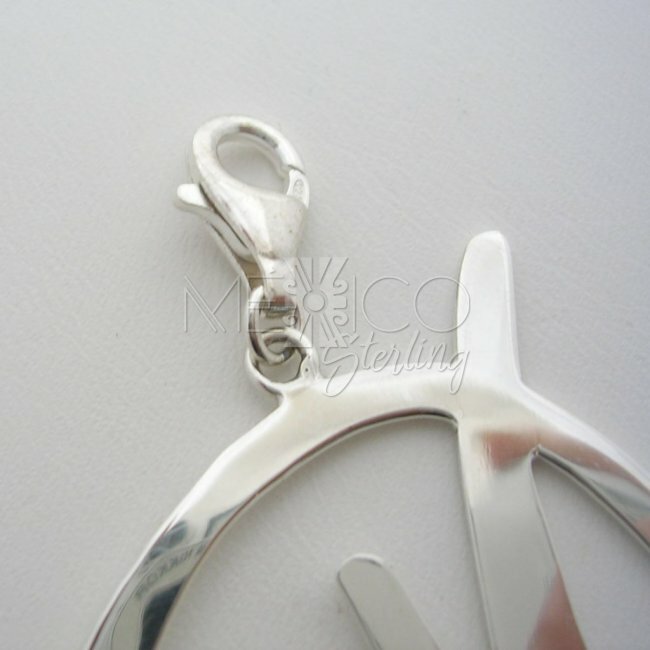 The hook at the top of the silver pendant is original and you can also interchange it with a clasp for your convenience. 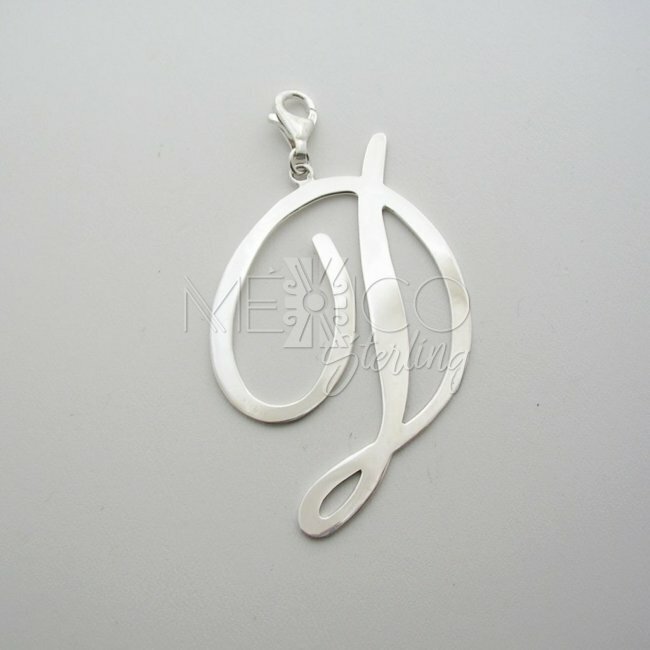 The overall appearance of the pendant is very feminine and very neat. 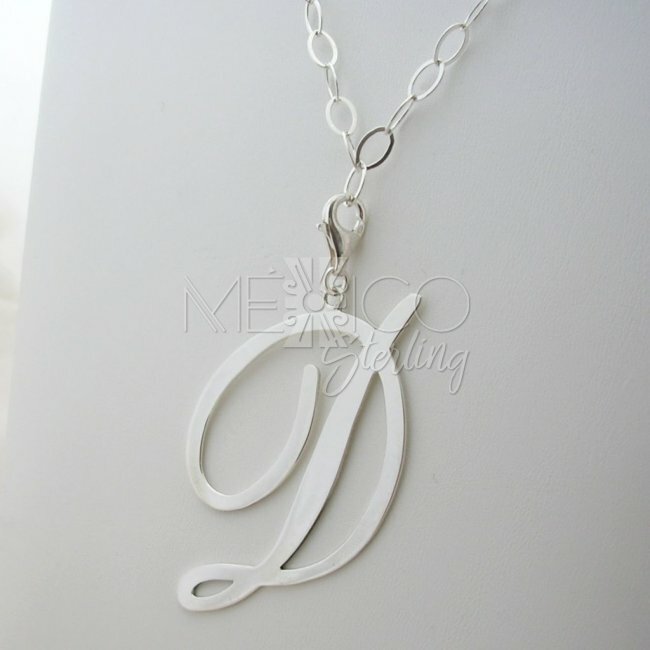 You can order us any letter of the alphabet that you want. 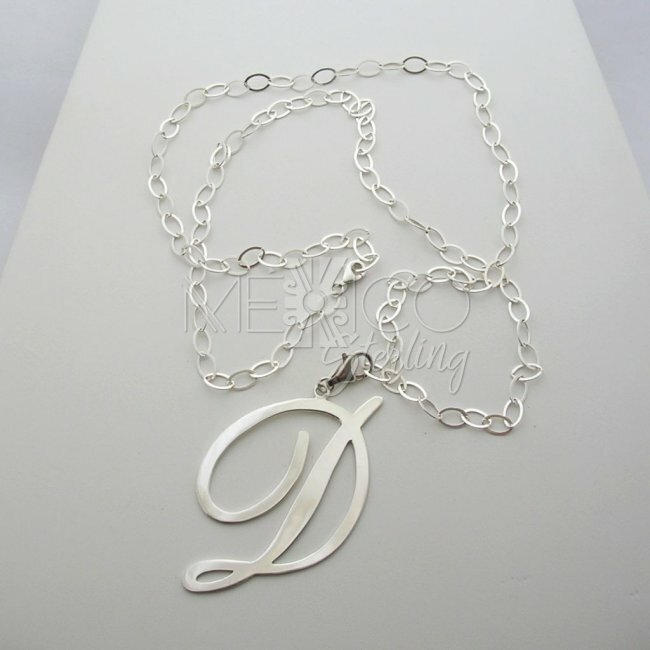 Adding a personalized touch, this necklace is perfect to be given as a present to a loved one. If you want to do something special for yourself, give yourself a treat and order one of these that represent your initial. 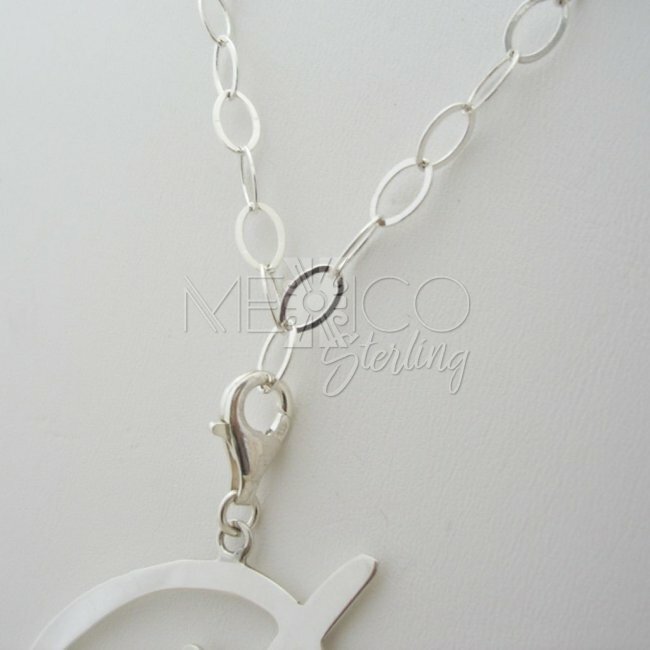 This Taxco silver pendant does not come with a chain, but you can order the one shown in these pictures separately or any other at our sterling silver chains category.